A cleaning process should not be harder on your rug than average daily wear. 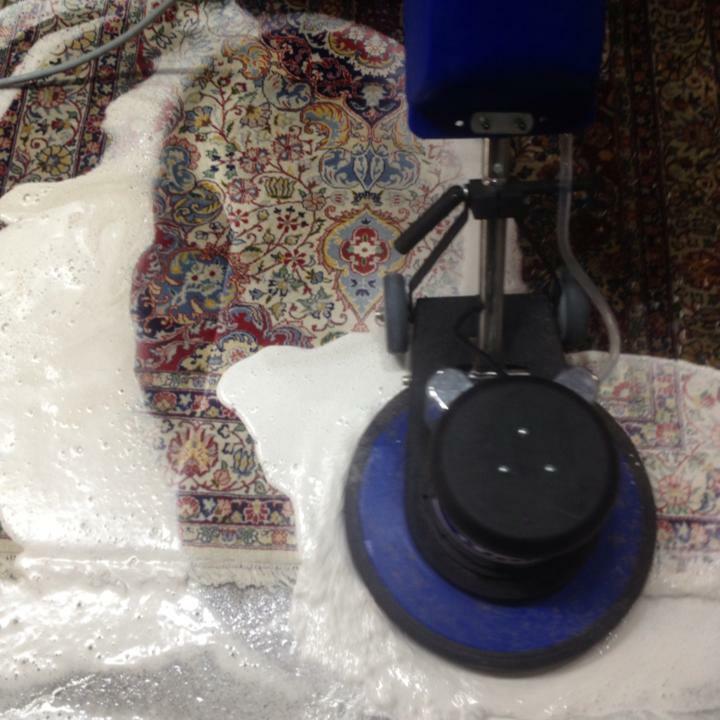 We address all issues with rugs we receive for cleaning with a pre-inspection. The pre-existing condition can dramatically affect the final result of cleaning. Surface cleaning, pet spills, and pre-spotting and dirt combine to change a rug over time. Pet stains can cause normally strong dyes to move during a cleaning process. We will recommend an enzyme bath to treat heavily pet stained rugs. Solid dirt settles into the foundation of fine rugs and can be difficult to remove due to the dense weave. This soil can build up in rugs that are placed in high traffic areas in your home. We dust rugs with a machine specifically designed to shake the solid dirt out of the foundation from the back. 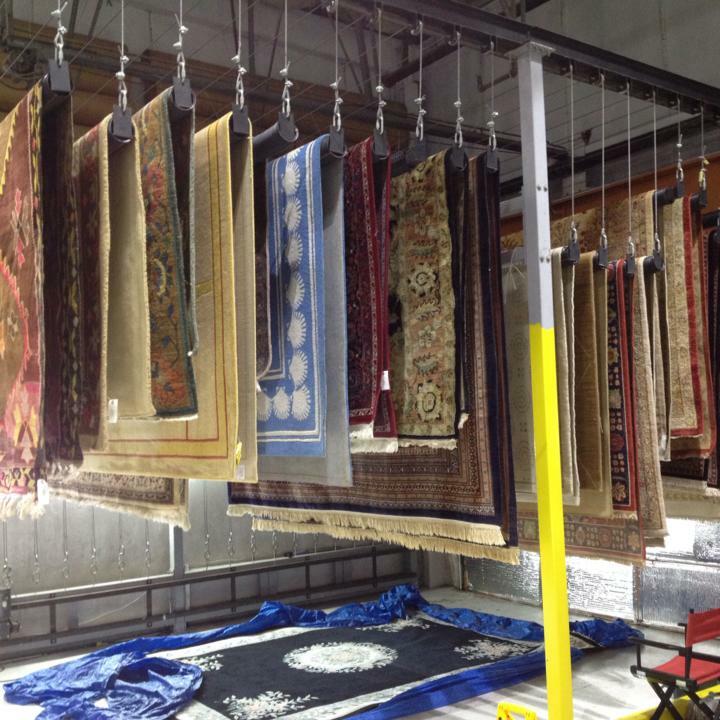 After attentive hand washing, we hang rugs in our dehumidified drying room. Water has been extracted by our specially designed centrifuge which removes 98% of water so the risk of color migration is eliminated. There is no need for using extreme heat to dry your rugs, a practice that is common and hard on the wool and silk fibers.